On this page we’re collecting syllabuses, module outlines, seminar plans and course guides so that members can share the ways we use the Victorian press in class. If you have a course on which you draw on the Victorian press and you are willing to share your teaching materials, contact the webmaster. Since Patrick Leary’s seminal essay “Googling the Victorians”, first published in 2005, significant advancements have been made in the field of periodical research, largely as a result of the rise in digital projects. In almost ten years of scholarship, researchers have been examining and developing new digital methods for analysing and extrapolating data. Scholars have been considering not only the construction of digital resources but how they can be used in many different ways; to enhance research, to identify neglected texts, to inspire and engage students. This special number of VPR (Summer 2015) gives us the opportunity to bring together these ideas and debates, to reflect on how the field of periodicals research has changed as a result of the digital revolution and to consider where it may be in the next ten years. Victoria’s Secrets: Secrecy in Nineteenth-Century Literature and Society. Undergraduate module, University of Birmingham (2012-2013). Course convenor: James Mussell. Although this course was not specifically about the press, it featured classes on W.T. Stead’s ‘Maiden Tribute’ and drew from the press for examples of secrecy within texts or articles about secrecy more broadly. Students also read The Moonstone in serial parts from All the Year Round. 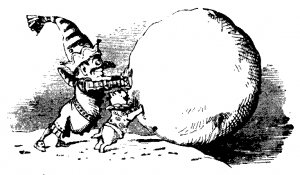 Working with Punch and the Victorian Periodical Press in Seminars. A report on using Punch in a course called ‘Research Methods for Media, Culture and Communication’, Liverpool John Moores University (2014). Workshop leader: Clare Horrocks. This workshop was part of an introductory course on the BA (Hons) Media, Culture and Communication degree. The attached report sets out the structure of the class, asking students to think about how Punch differs in print and digital form.